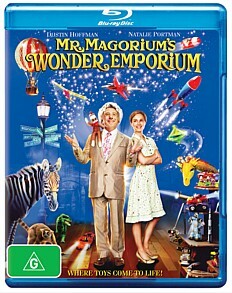 There’s a simple core message at the heart of Mr Magorium’s Wonder Emporium that I think every adult can relate to: Everything was possible when we were young. Just because we grow up, it doesn’t mean that has to change. That optimistic spirit is evident in all aspects of the film, from the charming opening credits to the final climactic scene. 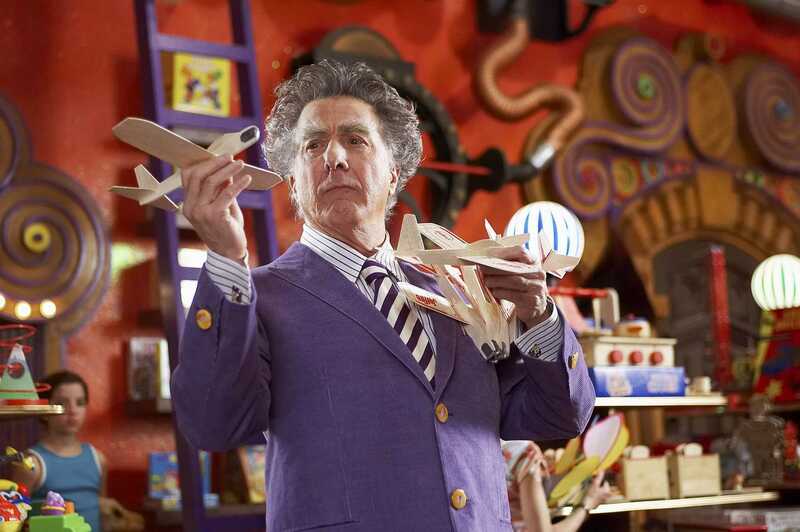 Mr Magorium (Dustin Hoffman) is an entrepreneur and inventor who has lived for over two hundred years, fuelled by curiosity and wonder and the rapture of being alive. We first meet him inside his incredible toy shop, the Wonder Emporium. Molly Mahoney (Natalie Portman) is Magorium’s store manager. While sharing her boss’ belief in magic, she is struggling with a very adult crisis: One of confidence. Mahoney is a talented pianist, but things aren’t coming to her as easy as they did when she was a child prodigy. Now in her twenties, she plans to leave the emporium in the hope of re-invigorating her dreams. But there is a problem: Magorium also plans to leave, and it is his intention to leave the Emporium solely in Mahoney’s care. He goes so far as to hire an accountant, Henry Weston (Jason Bateman) to sort out the dubious finances of the business. Things turn sour when the Emporium itself launches a protest, and sets loose a barrage of magical lemurs and disgruntled toys on its customers. The thing I love the most about this film is the dialogue. The story is told through the voices of its characters, with great narration by nine-year-old Eric Applebaum (Zach Mills). But the best lines are reserved for Hoffman himself, and he works the screen masterfully with the material he has been gifted with. Magorium’s ‘King Lear’ moment is one of the most touching movie moments I’ve witnessed for a long time. Like in so many of his roles, Hoffman is almost unrecognizable as the man beneath. His quirks and foibles are completely believable. All the other characters are wrapped up in his tornado of a persona, and it’s all the more heart-wrenching when they are forced to cope by themselves. The skeptical accountant in Jason Bateman would have been easy to make into a stuffy stereotype, but instead he’s three-dimensional, caring and awkward at the same time. It’s refreshing to see a children’s movie made in the last few years which doesn’t rely solely on CGI for its visual appeal. Most of the sets here were actually constructed, using real toys, and with tiny details that will never be visible on screen. The movie has a real-world feeling because if it. Colours are sharp and vivid, high-lighting the excellent work that has gone into the designs of the sets and costumes. The audio quality, too, is difficult to fault. The film’s musical score is both moving and mesmerizing, and sounds fantastic with a 5.1 surround sound system. Strangely weird and weirdly strange: Director Zach Helm and the crew speak about various aspects of the production, including the need to hire puppeteers with good personal hygiene. An eccentric boss and an awkward apprentice: An examination of the relationship between the two leading roles and the actors who played them. To meet Eric Applebaum start by saying ‘hi’: Child star Zach Mills talks about the daily routine of shooting a movie while juggling school work. The magical toy store: A great Featurette which takes you through the store itself, and talks about the work that went into building it. Fun on the set: Some bonus footage of the cast and crew hamming it up between shots. This tale of a magical toy shop is told with both charm and sophistication. The story is masterfully written, the sets and costumes awe-inspiring and the musical soundtrack is uplifting. The only fault I can level at this movie is that, at 94 minutes, the experience is over too quickly. It‘s a movie that you can‘t help walking away from and feeling a little better about the world. Even for the most cynical among us, some of that optimism is sure to rub off.